Enjoy the area's history, museums and monuments and make a vacation rental your home during your stay in Stare Mesto. Travelers to this romantic city praise the shopping, art and restaurants. Local cultural sights include Astronomical Clock and Estates Theatre. With a vacation rental, you get a home away from home—many rentals offer full kitchens and outdoor grills for some home cooking. Fly into Prague (PRG-Vaclav Havel), the closest airport, located 6.9 mi (11.1 km) from the city center. You might consider catching a ride on the metro at Staromestska Station for ease of access to the rest of the city. Our 2019 property listings offer a large selection of 460 vacation rentals near Old Town. From 441 Condos/Apartments to 10 Houses, find a unique house rental for you to enjoy a memorable stay with your family and friends. 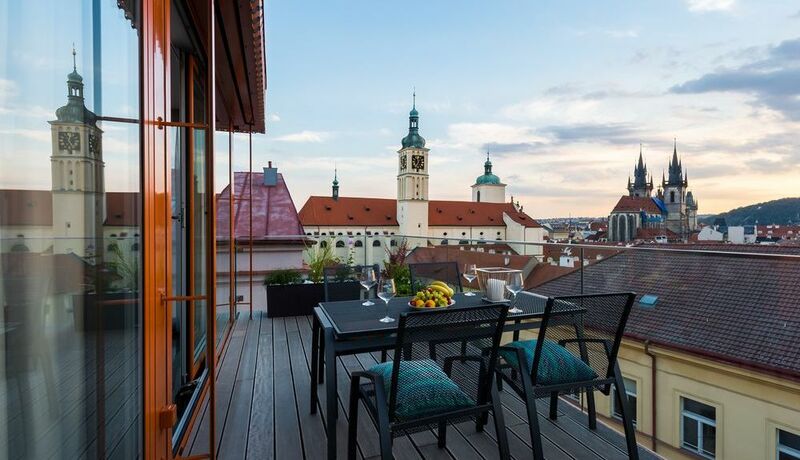 The best places to stay near Old Town for a holiday or a weekend are on HomeAway. Yes, you can select your preferred vacation rental with pool among our 2 vacation rentals with pool available in Old Town. Please use our search bar to access the selection of vacation rentals available.